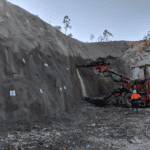 Red River Resources has reported record operating performance from its Thalanga zinc operations in Northern Queensland during the March 2019 quarter. 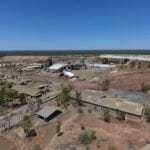 It comes after the company’s copper-lead-zinc operations delivered recoveries that exceeded expectations. 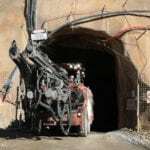 The metallurgical performance of development ore through the mill at Thalanga’s second underground mine, Far West, has been “outstanding”, with recoveries and concentrate grades in line with, or in most cases, significantly greater than the estimates used in the restart study. The base metals producer has processed more than 7500 tonnes of development ore within three weeks between February and March this year. The Thalanga operation is Red River’s key asset, with the company focused on maximising returns by increasing plant throughput and extending mine life. Its quarterly mine production at West 45 reached an all time high of 96,000 tonnes ore mined, with a record quarterly tonnage of 109,000 tonnes processed through the Thalanga Mill. Zinc concentrate produced was 16 per cent up on the second quarter to 8952 tonnes and lead concentrate produced was 25 per cent on the second quarter to 3763 tonnes. Copper concentrate produced was 134 per cent up on the second quarter to 1694 tonnes. It is also set to increase underground development rates by mobilising a second drill jumbo next month. 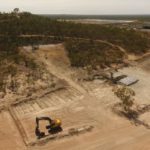 The Thalanga project consists of the Thalanga Mill and base metal deposits at West 45, Far West, Waterloo, Orient and Liontown about 65km southwest of Charters Towers in central Queensland.